Ballpark Mysteries and Wally, from the Red Sox! Well, Kate and I haven’t made it to the Red Sox yet, but we’re getting closer. Or at least the Ballpark Mysteries are! 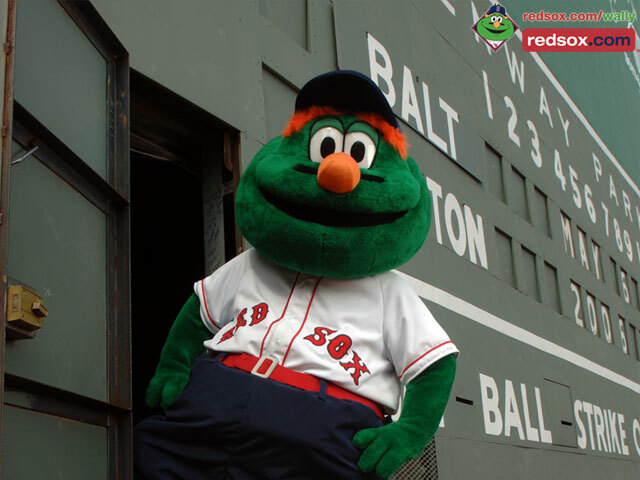 The author, Mr. Kelly, is actually doing a reading from Ballpark Mysteries book 1 – The Fenway Foul-Up with Wally, the mascot from the Red Sox! Kate and I are still in school, otherwise we’d go. I mean, Wally’s even in the book! I’d love to get his autograph. But I don’t know if he can hold a pen with those big green hands he has.